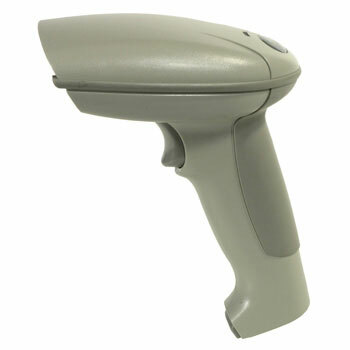 The Honeywell 3800PDF barcode scanner is now discontinued. For help finding a suitable replacement please contact us. Each scanner can connect as a keyboard wedge, use the serial port, output non decoded laser compatible signals, or operate in wand emulation mode. The HHP 3800PDF connects to all popular PCs, Apple MAC, and portable data terminals. The 3800PDF has been designed for fast, accurate scanning. Additionally, the aiming line is clear and easy to see with linear imaging technology, which allows for easy scans in all lighting conditions and with stacked barcodes. HHP Has transitioned from the IT3800LR to the 3800g. Contact your sales representative if you have questions on appropriate replacements.